If you’re a creative, hands-on kind of a bride, you’re probably considering putting together a lot of your wedding day yourself. 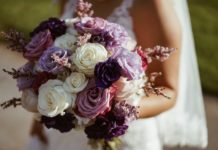 Whilst being creative means you can save money, you may not have the right experience when it comes to making your own wedding flowers and flower arrangements. 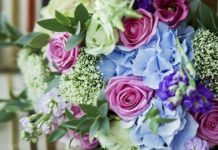 When making your own wedding flowers, you need to firstly consider the time of year that you’re getting married. 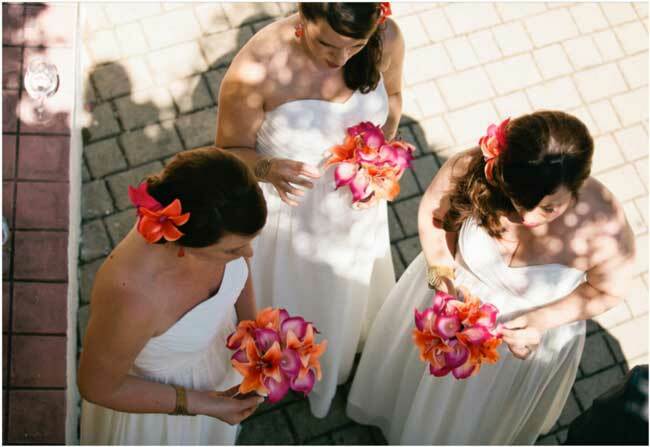 Look around you and think about wedding flowers by season and whether the flowers you want are going to be in bloom. Not only will you be able to source cheap wedding flowers more easily, you’ll also be keeping your green credentials if you don’t require exotic blooms to be shipped in from overseas out of season. Remember, if you’re getting married around Mother’s Day or Valentine’s Day then you’ll pay a premium for your flowers. So if you’re getting married in the spring, it’s going to be flowers like narcissi, hyacinths and tulips. 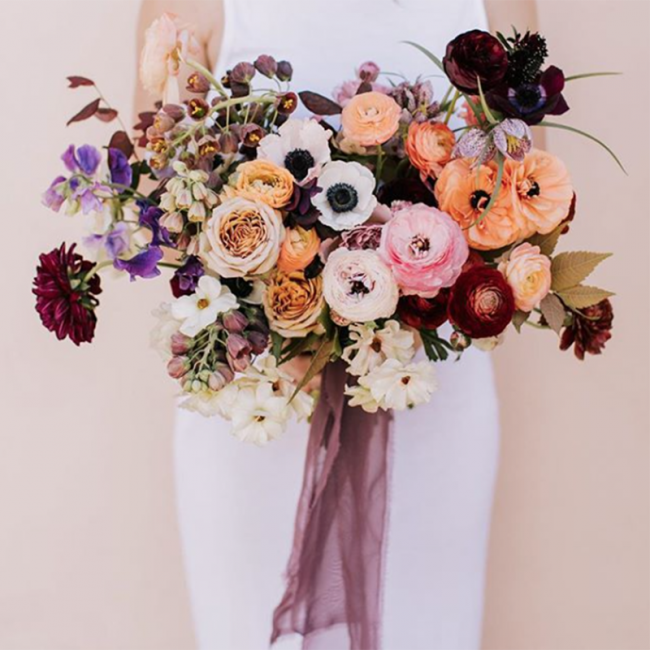 In the autumn, you’re going to be opting for colourful brights like dahlias, hydrangeas and maybe branches of fruits and berries to decorate your venue too. If you’re still unsure, check our or wedding flowers by season guide for more information. Give yourself plenty of time to think about your flowers and decide what you want. Have a theme. This could be seasonal, colour-led or a style such as vintage or country garden. Maybe take an evening class in flower arranging, which will also show you how to keep flowers looking their best. Don’t forget to give yourself plenty of time to source your flowers. If your dad has a beautiful garden of roses, and he’s happy for you to pick them, then, by all means, use them. However, you’ll also need to source some blooms from a flower market. Make sure you visit a few times so you can make friends with the stall holders and find what they’re going to have when. Don’t be afraid to ask that about what they’d recommend for the time of year, after all they’re experts that you can also rely on. Country-style wedding lends itself best to a handmade wedding with DIY flowers. You can have simple jam jars crammed with wildflowers, cornflowers and roses as centrepieces on your reception tables. These will look charming and rustic and moreover, they will look handmade, which is a nice touch. Don’t decide you’re going to create elaborate formal flower arrangements if you have little to no experience. 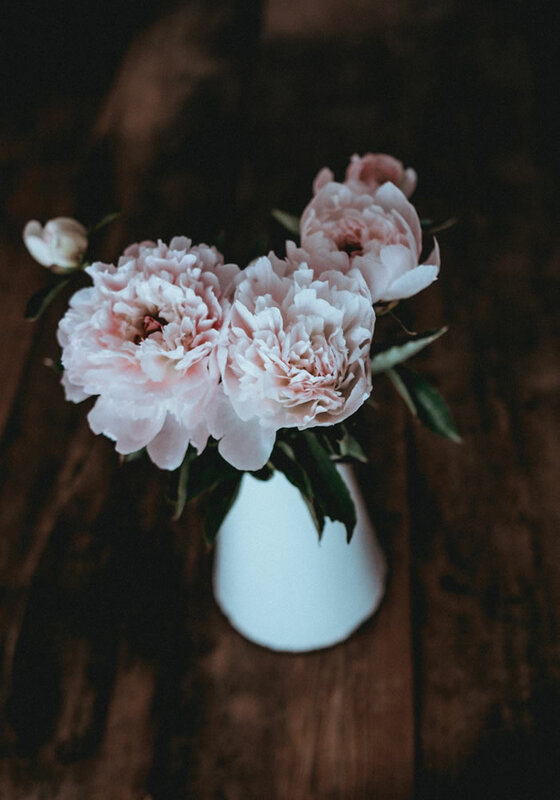 Use the time in the lead up to your wedding to practice, watch flower arranging tutorials and understand what flowers go aesthetically but also what smell good together. If you’re getting married in a church, decorate the ends of the pews with a hand-tied garland of blossoms or even just different coloured greenery. If you’re planning a winter wedding, holly and trailing ivy will be very festive too. There’s nothing to say your flower girls have to hold a bouquet of flowers or even real flowers. You could give them a simple basket filled with rose petals or even artificial wedding flowers, which they can scatter as they walk down the aisle behind you. However, if you’re feeling a little more adventurous, you could make flower pomanders for them to carry, just make sure you practise first. Finally, don’t forget to practise, practise and practise. When it comes to DIY wedding flowers, practice is precious. Time yourself on how long it takes to make a table centrepiece and decorations for the ceremony or venue. Enlist the help of your favourite girls if they’re reasonably artistic! Just don’t leave everything until the last week and then panic because you’ve run out of time. A stressed bride is not a happy one! 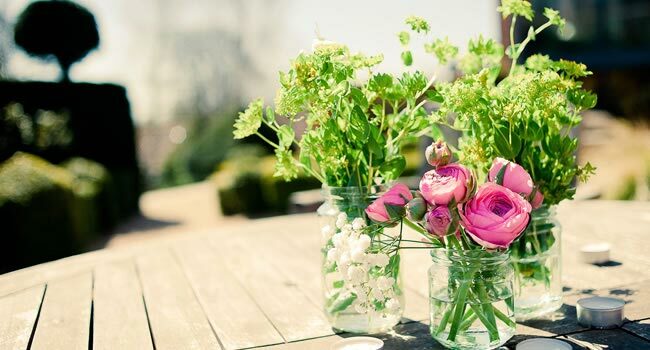 If you fancy yourself a bit of a gardener, have some green-fingered helpers on call or just love the idea of growing your own wedding bouquet, this may be something you want to get planning relatively early on. Different varieties of flowers are in season at different times and take varying times to grow to their prime. 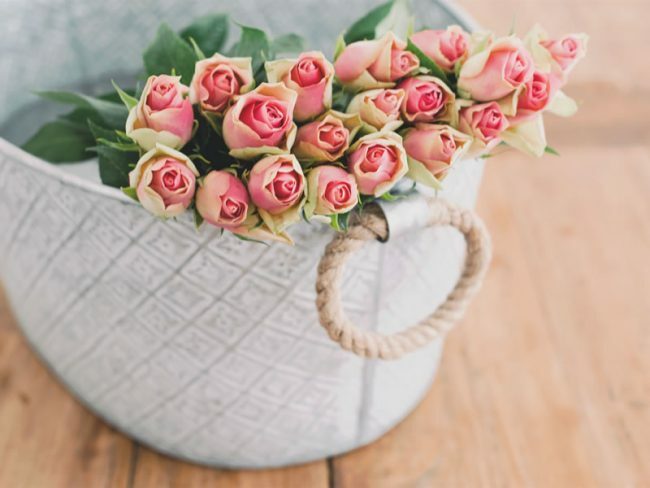 So, depending on your wedding date, you’ll want to check out the growing times of your favourite flowers so that you can have these in bloom ready to cut and arrange on the wedding day. Because of their romantic connotations, roses for weddings will always be popular. They are easy to grow and come in a range of shapes and colours – there will be something to suit every wedding theme. Most roses need at least five hours of sunlight per day, so make sure you plant them somewhere that they are going to get the sun they need. Another tip is that roses need a lot of organic matter, and when planting try to avoid crowding as good air circulation is important. Once they are fully grown and opened up to how you want them, you can get cutting. Sweet peas are another favourite, and look great as part of a bouquet or even a centre piece for your tables. They would look great as accompanying flowers, and would work great of you have a country theme. These flowers are great because they require minimal maintenance. Just make sure you plant in fertile, well-drained soil and remember to give it extra water during dry periods. Peonies are a favourite for Spring and Summer weddings. They flower between March and July, so make sure you bear this in mind when choosing these flowers for your special day. Get planting from September to October. Peonies grow best in the ground and need lose, nutritious soil. Water straight away after planting. These full and colourful flowers would be perfect for a summer wedding! They flower between June and September. Plant in loose soil and water regularly to stop the soil from drying out. A good tip would be to add plant food with the water during the summer for an extra beautiful bloom! 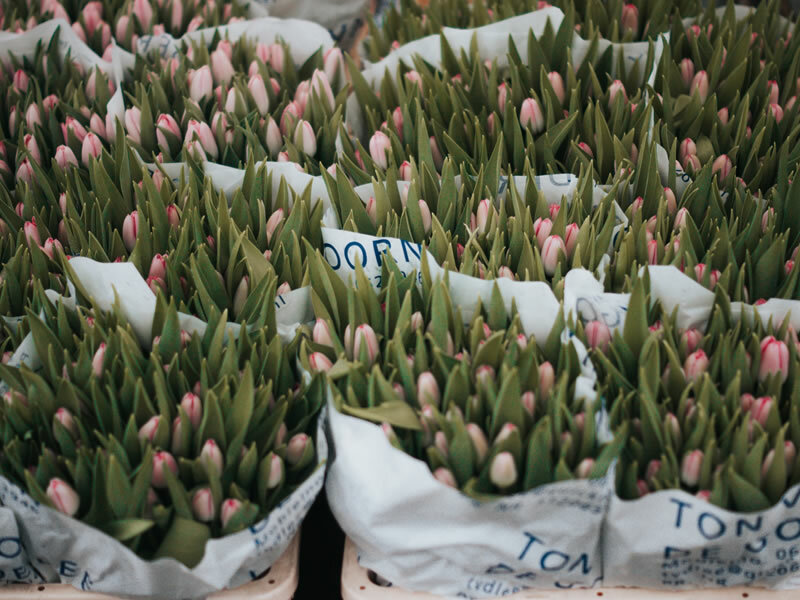 Tulips are becoming more popular as part of centre pieces and bouquets, and they will add a touch of colour to your wedding. Tulips are perfect for a spring wedding as they flower between April and June. The great thing about planting tulips is that you don’t need a great deal of room, just get yourself a window-box and you are away! They can grow in full sun or part shade, so pretty much anywhere. Just make sure they have plenty of water during growing season.